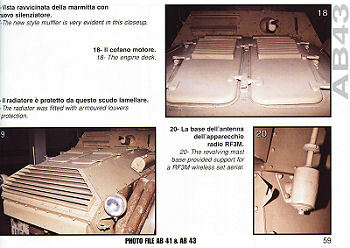 Anyone modelling the Italian AB41 armoured car from the Italeri 1:35 kit (No.6442) find this photo study very useful as it covers several preserved vehicles in great detail. 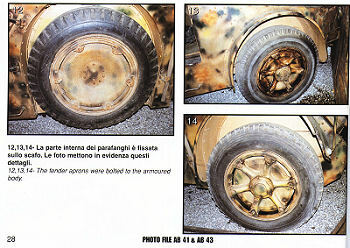 There is a short introduction giving the vehicle's history and development in Italian and English, but most of the coverage is colour photos again with dual-language captions of Italian and English. 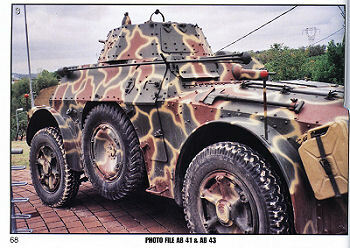 It covers both the AB41 and the later AB43 with lower turret and various detail changes. 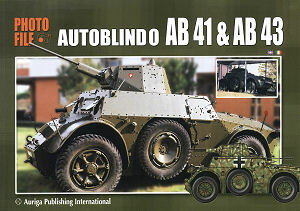 Four-view 1:35 plans are included of both versions, and 14 colour profile side views of vehicles in Italian and German service, all but one of AB41. 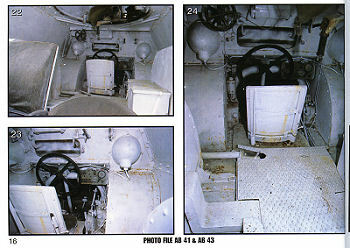 Coverage is about as good as you could want for any model, though the layout vehicle by vehicle will mean some turning of pages back and forth though that is no real drawback. Thanks to Justin at Bookworld Wholesale info@bookworldws.co.uk for sending me a review copy.